Extraordinary fundraiser event in support of the Dream Foundation. The Gala's itinerary consists of special guest speakers, entertainment, and much more. This annual benefit concert is put on by the Rhythmic Arts Project, a foundation that works to educate individuals with disabilities through a rhythmic-based curriculum. It's a beautiful night for the #DreamlandGala. Traditional Zoo Camp available for kids ages 3-12. Half day and full day options offered. Spend time with the SB Zoo animals as they eat and play with their very own pumpkins and other fall treats. Hop aboard the Sunset Kidd for a gorgeous cruise in celebration of November's Full Moon! This exquisite event offers a multi-course dinner, wine pairings, and more, bringing the James Beard House culinary experience to our very own Santa Barbara. Experience grape stomping at the Margerum Estate Vineyard alongside a lovely lunch catered by Valle Fresh. Frankland's Crab & Co. is coming to Montecito! The Montecito Inn is welcoming Chef Phillip Frankland Lee's delicious seafood dishes right to Coast Village Road. coming soon to coast village plaza! Spend the afternoon tasting the best chowder and drinks provided by local chefs, wineries, and brewers. Proceeds benefit the Legal Aid Foundation. Come taste the most delicious ramen in the area and vote on this year's best dish. Proceeds benefit the No Kid Hungry foundation. Enjoy a beautifully curated pop-up experience compiled of local brands, artisans, and other creatives. Sit back, sip, and relax as you paint at the Kalyra Winery vineyard in Santa Ynez. All skill levels welcome. 1 4 D A Y S until our next market with the @guildedtable in Santa Barbara! Saturday, 11/11 • 11-6pm | Shop and support local brands for the holidays and discover over 30 artisans and creatives from SB, Ventura, Carpenteria, Ojai, LA and beyond. Stay tuned for a list of all the brands heading to FM next month! We're also excited to welcome back some of our favorite music acts including @lesbrambles from 1-3pm and @skinandbonesmusic from 3-5pm. We'll also be in some great company with @topatopabrewingco @lamadogtaproom @foxwineco and the @thenooksb 🍺🍔🍷AND we'll be having a raffle filled with great prizes - 100% of the proceeds will go to @theyoungandbrave 💛 Stay tuned for more details and exciting announcements to follow next week!! Happy hour includes signature cocktails, music, art activities, and more. Fun Halloween activity in Montectio: "Ghost" Village Road, on Coast Village Road, takes place October, 31, 2017 from 3-6pm. Fun Halloween activity in Montectio: "Ghost" Village Road, on Coast Village Road, takes place October, 31, 2016 from 3-6pm. Santa Barbara is home to many amazing hiking trails, perfect for the avid outdoor enthusiast. Although Montecito may have a small-town atmosphere, it boasts a wide variety of hiking trails from easy to strenuous, perfect for hiking, horseback riding, mountain biking, and trail running! Many of our listings are steps away from the most pristine hiking trails, which create a relaxing, serene escape into nature with beautiful scenery of the Santa Ynez mountains and sweeping panoramic views of the Pacific Ocean. Looking to escape the beach? Check out these 4 beautiful hikes located in Montecito. This a beautiful and relatively easy 4-mile round trip hike. The trail is shaded by trees, providing retrieve on warm days. A large waterfall greets you after 2 miles in. The waterfall can be quite impressive after a strong rain, and very tranquil in the drier months. Escape to an enchanting East Coast country estate on 2.38 magical acres in the heart of ultra-charming Montecito. Romantic details and character define the exceptional compound, offering an additional charming guest house, pool cabana and separate gym/office. An exquisite landscape of blossoming rose gardens, majestic oaks and redwoods, and tasteful entertaining terraces surround Brookside and offer hiking trails just steps away. After hitting the trails you can relax by the large swimmer's pool, lounge patio, and grand outdoor fireplace while admiring the staggering mountain views. A French-inspired stone farmhouse in Montecito’s Golden Quadrangle pairs the light and romance of Provence with layered gardens and an advanced smart home automation system. Interior rooms mingle effortlessly while mature oaks and mountain views highlight beautiful outdoor spaces. Expansive finished attic space provides endless possibilities. This peaceful and pristine home is a treasure. In the backyard, an outdoor kitchen and shower allow for incredible outdoor living with a spa made of Santa Barbara stone. McMenemy Trail is 1.2 miles and leads across San Ysidro Creek through a stunning eucalyptus forest. A well maintained the trail, suitable for horses with multiple hitching posts along the way. A bench at the top allows for a nice place to take in the breathtaking ocean views. Fall in love with the endless ocean and mountain views of romantic Prima Luce, Italian for “first light.” In the finest Montecito location, Prima Luce enjoys unparalleled privacy and a most tranquil setting with many hiking trails just feet out the door. This estate is also in close proximity to the renowned amenities of affluent Montecito. Impeccably designed to maximize views and privacy, and built to the highest standards, Prima Luce’s stunning architecture is adorned with hand painted details, paneled walls and the finest finishes. Surrounded by the estate’s 2+ acres of alluring gardens and oak woodland, an inviting guesthouse, fireside pool cabana and wonderful children’s play house complete this most idyllic ocean view retreat. Nestled at the foothills of the Santa Ynez Mountains, with many local hiking trails, one of the area’s most luxurious and romantic estates embodies authentic French spirit, while breathtaking Pacific Ocean and Channel Island views capture the essence of California coastal living. Designed by noted architect Lutah Maria Riggs, the expansive main residence is reminiscent of an 18th century French country manor with charming shutters, a slate roof and an alluring stone and blush stucco façade. Extensively remodeled in 2006, the home meets every modern standard while maintaining the exceptional architectural pedigree. Only the natural beauty of the surrounding ocean and mountain panoramas match the impressive architectural provenance and enchanting landscape of this truly captivating Montecito estate with beautiful gardens by famous landscape architect Lockwood de Forest. Stroll through an oak woodland and enjoy this mostly flat trail. Approximately a 1.8-mile loop with 150 feet of elevation change within the 44-acre San Ysidro Creek Preserve. The trail follows along San Ysidro Creek and the old stone bridges that span the creekside. A perfect trail to enjoy on a warm day shaded by oak trees with loved ones! Set gracefully overlooking the ocean and in the shadow of the Santa Ynez Mountains, Rancho San Leandro reigns over Montecito as it has for nearly 170 yrs. The compound, an Adobe (circa 1850), the 2006 Monterey House and a first class equestrian facility, boasts ocean and mountain views, historical significance, and modern amenities on nearly 6 acres. The grounds of Rancho San Leandro are laced with lush gardens, botanical vignettes, and drought tolerant succulents; enjoy an afternoon relaxing on the covered veranda; romantic courtyards beckon late night star gazing; stone pathways meander throughout the property and lead you to discover moments from the estate’s history. Rancho San Leandro is the perfect equestrian estate with local trails nearby for both horseback riding and hiking. This is a short 1-mile path situated in Toro Canyon Park. The trail is short and not too steep, leading to a gazebo that circles a knoll. The top is the perfect place to catch a stunning Santa Barbara sunset. Sweeping ocean views are on full display from this modern home designed by Barton Meyers on 10.4 acres in a pastoral location in the Montecito foothills. A sleek balance of steel, glass, and concrete, this remarkable modern home showcasing endless ocean views explores the boundaries of progressive architecture and living in nature. The house boasts three dramatic glass “garage doors” that when raised blur indoor spaces and the outside environment to create a chic, integrated living experience. This house is an outdoor enthusiast's dream, with an abundance of hiking trails in close proximity, a beautiful salt-water pool, an outdoor fireplace and terrace with walking paths, an olive grove, and Lockwood de Forest gardens. 13 Western states, British Columbia, and Alberta duked it out for Sunset magazine's first annual Travel Awards, which "recognize achievement in lodging, dining, cultural tourism, outdoor adventure, environmental stewardship, and other categories." The magazine solicited nomination entries for a variety of categories, and from there an array of teams, judges and advisory boards deliberated the winners. Judges included tourism directors, authors of travel books and resort CEOs, so opinions were legitimately sourced. And the winner for Best Beach Town? Drum roll, please... SANTA BARBARA! It is a great distinction to be recognized in a magazine that specifically showcases the ultimate Western lifestyle. From world renown surf spots such as Rincon, vibrant night life on State Street and unique scenery, to a rich Spanish history and culture, and wine-tasting in Santa Ynez, it seems we hit all the checkboxes for an ideal coastal lifestyle. It's no wonder everyone here is happy as a clam! What more could you ask for? If you're looking for some ideas regarding fun things to do in Santa Barbara, check out our Local's Guide blog by clicking here. We also have a list of local favorites where you may find Riskin Partner's best picks in food, wine, home needs, golf courses and more. Don't forget that FIESTA! begins next week so be sure to participate in the weekend activities to celebrate our awesome community! Calling All Open House Lovers! 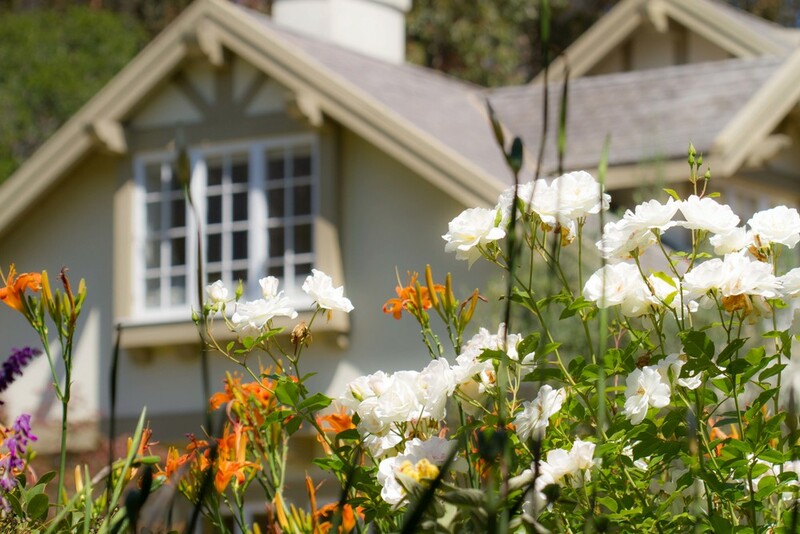 An online open house directory for Montecito and Santa Barbara! These directories will automatically update with any open house changes or additions, rendering it a convenient and reliable resource for all those house hunters looking for an incredible property. Users may also filter results and view listing details at their convenience. What are you waiting for? Take a look! An inviting pool and verdant grounds accompany a bright and pristine 3bd/3.5ba residence at one of Montecito's best addresses. Drought, Desalination... What's The Deal? The current drought in California has commanded the attention of many and as we continue to see minimal rain here in Santa Barbara and throughout the state, this is not an issue that we will be disengaging from anytime soon. This particular drought began in 2012 and is the worst drought in 1,200 years. This year also marks an all-time record low for snow pack levels in the Sierras amounting to an equivalent of 24 billion gallons of water loss. For a striking visual perception of the drought, Click Here to view an article which compares photos of California's water sources just before the drought in 2011 and their recent state, in 2014. Limited rainfall has caused our water reservoirs to become depleted and over drafting of groundwater is underway. 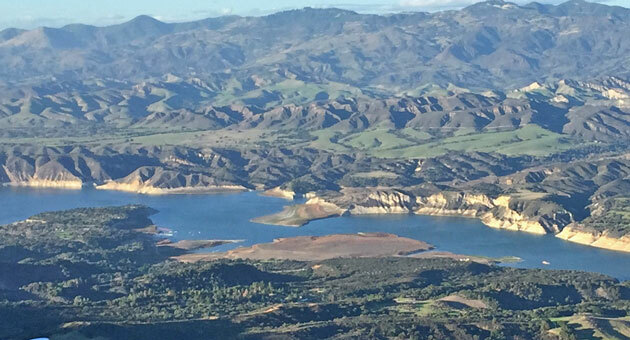 Looking at our future, "the 2016-2017 water year is looking dire...assuming that there will be no surface water coming from Lake Cachuma, the State Water Project or Jameson Lake." State-wide, Governor Jerry Brown has issued a mandate that urban water use must be reduced 25 percent below 2013 levels by February 2016. To put this all in perspective, NASA estimates, "it would take 11 trillion gallons of water to get us out of drought," and it is these types of severities that are causing people to seek for solutions to this complicated problem. Recently, Santa Barbara increased to Stage 3 drought regulations, which call for stringent water use restrictions and increased water rates. Conservation techniques are another alleviation, which Santa Barbara residents are implementing effectively. In the month of May, residents conserved an astounding 37%, bringing reduction efforts up to 24% since last July and only 1% away from the city's goal (go SB!). Santa Barbara also holds the lead for highest conservation rates in the state, but we must also consider what else may lie in the near future for our community. If the drought persists and there is no water available for purchase, the city needs another fallback. Desalination has been a topic of discussion as the vast ocean near our homes provokes its consideration as a potential water source; after all, 97.5% of all the water on Earth is sea water. Click here to watch a 30-second informational video explaining the process of desalination. For a smaller Santa Barbara community like Montecito, drought relief options are limited and, aside from increased water rates, desalination seems a viable recourse. According to Montecito general manager, Tom Mosby, "Santa Barbara expects to get its desalination facility operational next year [and] if it’s approved by the state and the Santa Barbara City Council moves forward, Montecito could get emergency permit status by the end of 2016 for its own facility." A new Montecito plant would cost between $60 and $80 million and in conjunction with the Santa Barbara plant, "could handle almost all the city’s water needs"; but only as long as residents continuation their conservation and cut their existing usage by 25%. - The drought is very serious and even with some recent minor rainfall, residents must keep in the mind that this issue has not been overcome. There is a 70% likelihood that the drought will persist. - Santa Barbara locals are responding productively to water restrictions and conservation efforts yet that does not mean we should ease up on conservation techniques and implementation - this is an ongoing endeavor. For further tips and information regarding reduction of your water consumption, visit the Santa Barbara County Water Conservation page by clicking here. - Desalination is only a complementary aid to water conservation, and efforts are underway to recommission the Santa Barbara plant as well as construct a new plant for Montecito; however, this may be costly, energy-intensive and it is questionable whether or not the plants will be ready and functioning before the drought is over. - Effect on the real estate market: Water allotments per parcel are tightening and causing buyers to reconsider their water sources and water use (on average in California, almost 50% of total residential water use is for the outdoors/landscaping). Now more than ever, buyers are placing high value on wells and also drought-considerate landscaping in order to remain within these allotments. Clear skies and idyllic weather are common here in Santa Barbara and Montecito and now that summer has officially arrived, the locals are increasingly out and about. Fortunately for those who are lucky enough to visit, or even call this place home, there is an impressive array of opportunities to adventure, relax, dine, or anything else your soul desires. If you're yearning to discover unique and high quality places, click here to view a great article by goop.com, which details a variety of wonderful destinations. All of us here at Riskin Partners also have our favorite picks, so check out the list below for a small sampling of all that Santa Barbara has to offer. If you're feeling especially enticed, maybe moving here or buying a second home is in your future! For the full list of our Local Favorites, from real estate needs to lifestyle suggestions, visit the Riskin Partners website here. For a peaceful and relaxing stay, this 5-star luxury hotel is located adjacent to the beautiful Butterfly Beach. In classic California style, they "invite guests to indulge in everything from tours of local wineries to surfing, lazing on the beach or lounging poolside at the exclusive Coral Casino Beach and Cabana Club." Relax and be treated at the Santa Barbara Spa, dine at the ocean-view Bella Vista restaurant, or even book a surf session with surfing legend Tom Curren. Find Sara Thandi here on any holiday with her family, this is her favorite place to grab some brunch! A great workout with some serious views - Inspiration Point is a classic Santa Barbara hike that will having you feeling motivated once you reach the top. Winding through the stunning Santa Ynez mountains, this 3.5-mile round trip hike is best enxperienced at sunrise or sunset. If you enjoy this one, Rebecca, an avid hiker, also suggests trying the San Ysidro trail. With such a rich history, there are a wealth of landmarks and stunning Spanish Revival style architecture throughout the city which should not be missed. 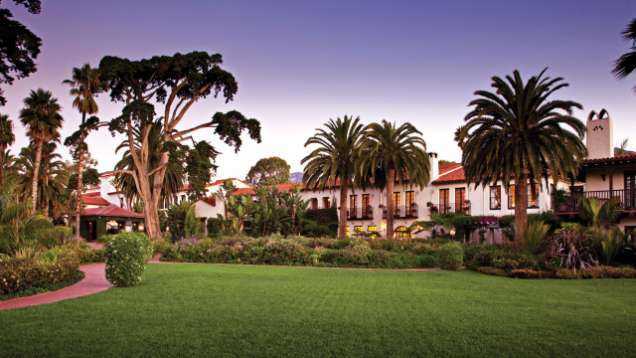 Among the Santa Barbara Courthouse (known by many as the most beautiful public building in the country) and its gorgeous sunken gardens, Meridian Studios, and other iconic buildings, the Old Santa Barbara Mission will always remain a classic. Take Robert's advice: grab a blanket, some wine and outdoor games, and have a picnic next to the Mission's blooming rose garden. A retreat like this is best enjoyed if you bring some friends along! For just over a year now, the Public Market has been host to an array of purveyors - priding itself in "handcrafted, regionally sourced and sustainably made food and wine." Whether you're looking for Crazy Good Bread, a quality cup of joe, delicious seafood, fresh-made pasta, or a glass of wine, the Public Market has it all. If you're feeling like working on your culinary artistry or need to host an event, their Kitchen serves as a commissary and event space. According to Marie, the Market is a great place to meet with friends because there is something for everyone, but her top pick is the potato gnocchi at the Pasta Shoppe. Pair with a flight of wine at the tasting bar for a delicious Italian meal...you definitely will not be disappointed. Set on a hillside overlooking Santa Barbara, the Bowl is a historic amphitheater circa 1936 with striking views - a true landmark of the area. It has been host to some of the biggest names in the music industry including Bob Marley, Santana, Radiohead, Jack Johnson, Steely Dan, and Sting, just to name a few. The intimate venue also hosts a variety of up and coming artists, so all types of music fans can rock out. Upcoming shows include Aerosmith on July 7th, Aretha Franklin on August 6th, the Santa Barbara Mariachi Festival on August 8th and the Alabama Shakes on August 18th. Live music has always been a big part of Jasmine's life, her husband is even in a band called Surprise Me (vote for them here to help them have an opportunity to play at Summerfest in Wisconsin!). Of all the music venues she has been to, she claims that the Bowl is by far the most beautiful. We L.O.V.E. the Lark! This family-style restaurant serves "locally sourced and responsibly grown" meals, which are incredibly fresh and delectable. Try the roasted beets and burrata, the marinated grill & hangar steak, the herb roasted diver scallops, or even their famous brussel sprouts - everything on their seasonal menu is simply divine. Sarah Kelly advises that if you're looking to grab a cocktail on a weekend night, this is the place to be. The bone marrow crusted beef cheeks and Mary's roasted chicken are her favorite picks on this menu. The Funk Zone is a hip, arts, business, and industrial district close to State Street and the Santa Barbara harbor. Here you may find over 10 wine tasting rooms and a variety of studios, galleries, surf shops, and restaurants (including The Lark)! All within walking distance to each other, the Funk Zone makes for a lovely night on the town. Make sure to check out Pali Wine Co, Corks N Crowns, and Dina's favorite, Les Marchands Wine Bar and Marchant, where she recently celebrated her engagement! Fun Fact: the owner, Brian McClintic was featured in the popular wine documentary called SOMM, "which chronicled his journey to the elusive Master Sommelier title." Santa Barbara’s leading residential real estate team, Riskin Partners, a luxury division of Village Properties Realtors, the area’s exclusive Christies International Real Estate affiliate, has broken an all-time record, closing over $146 million in sales in the first quarter of 2015. Partners Rebecca Riskin, Dina Landi and Sarah Kelly, earned the #1 position in the Santa Barbara Multiple Listing Service (MLS) for dollar volume sales in 2014, and have closed in excess of $284 million over the last twelve months. 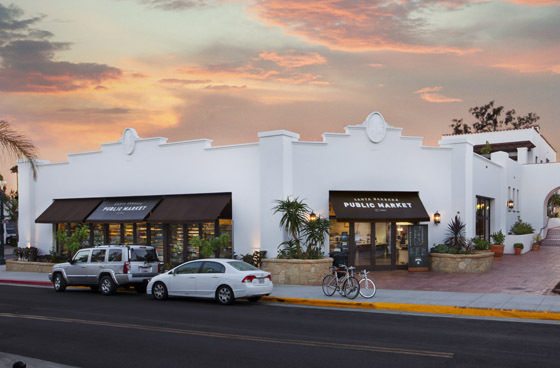 Riskin Partners has claimed the #1 position for dollar volume sales in Montecito 9 out of the last 10 years, and was recognized by the Wall Street Journal in 2012 as the #11 team in the country. Riskin Partners’ sales volume is a staggering 206% greater than the #2 agent in the Santa Barbara MLS. Among the team’s 2015 sales was an exceptional Padaro Lane beach house, which closed for $19 million, the year’s highest sale to date. Riskin Partners represented the sellers in every sale over $10 million this year. Three of those properties received multiple offers. Riskin Partners represented the sellers of this exceptional Padaro Lane beach house, the year's highest sale to date. What is the team’s strategy for the remainder of 2015?